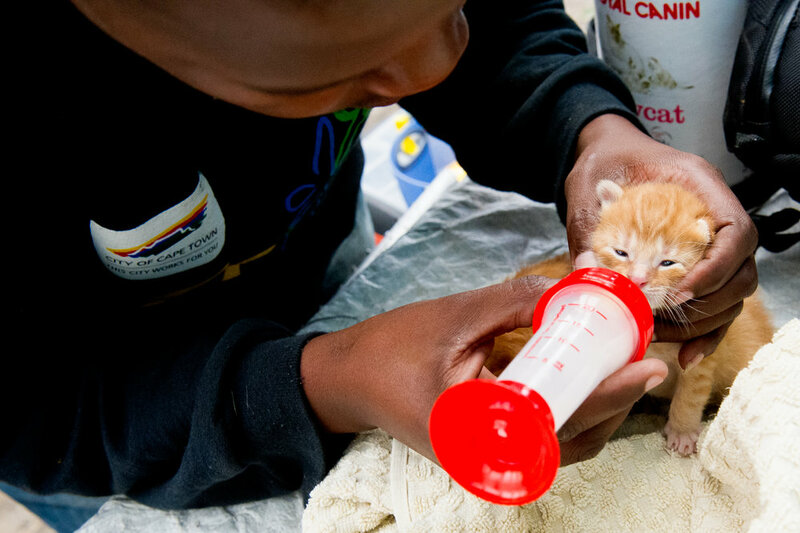 BUILT ON THE RESPECT OF ANIMALS, THIS ONE OF A KIND CLINIC IS CHANGING THE CULTURE OF PET OWNERSHIP BY PROVIDING CARE, JOBS AND A JOYFUL OASIS IN THE NEIGHBORHOOD. When a 16-year-old kid has an idea, people usually smile dismissively and go about their day. 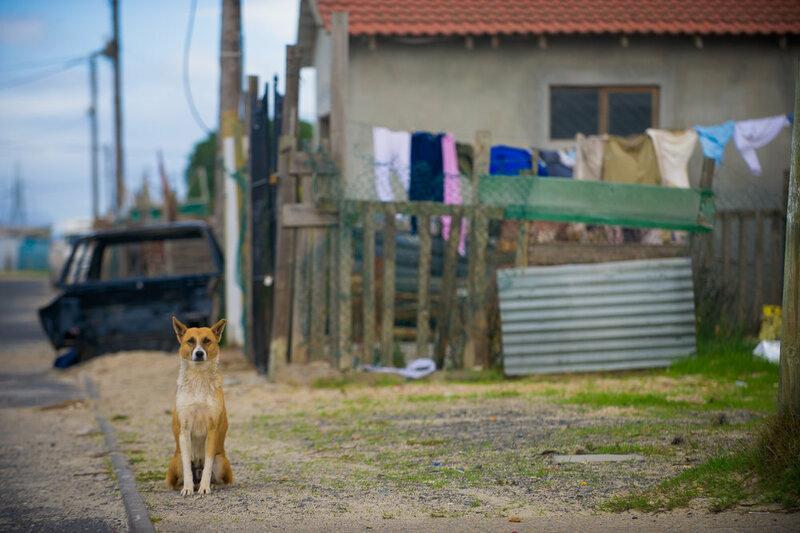 When that 16-year-old lives in Khayelitsha, a township of one million residents on the outskirts of Cape Town, it’s almost guaranteed that no one will pay much attention. Except this time, against all odds, the idea of this particular teenager who grew up in this particular neighborhood took hold. He loved animals and saw them suffering all around him. So he started a little business, dipping dogs to prevent mange and fleas. 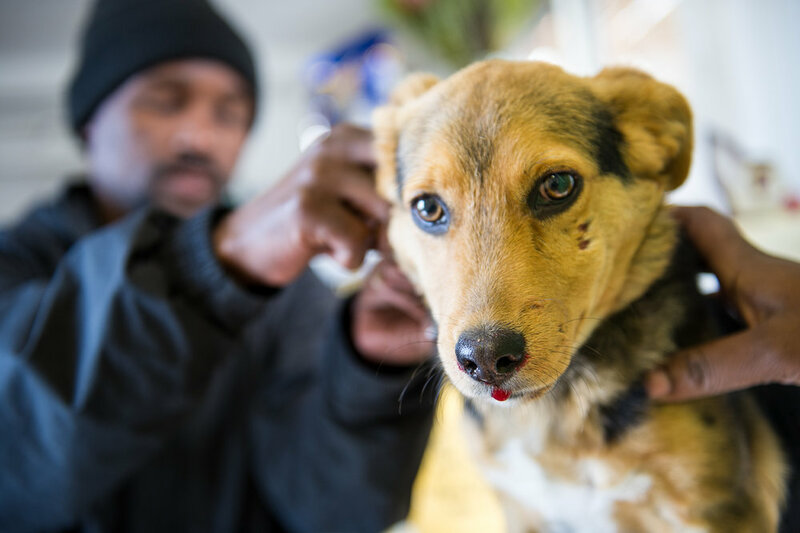 After several twists and turns over 20 years, that small operation has turned into the Mdzananda Animal Clinic and that kid was Lazola Sotyingwa. Today, Mdzananda is an oasis amidst the hustle of Khayelitsha. Instead of being stared down with suspicion, everyone is welcomed with a warmly shouted greeting from across a wide courtyard. 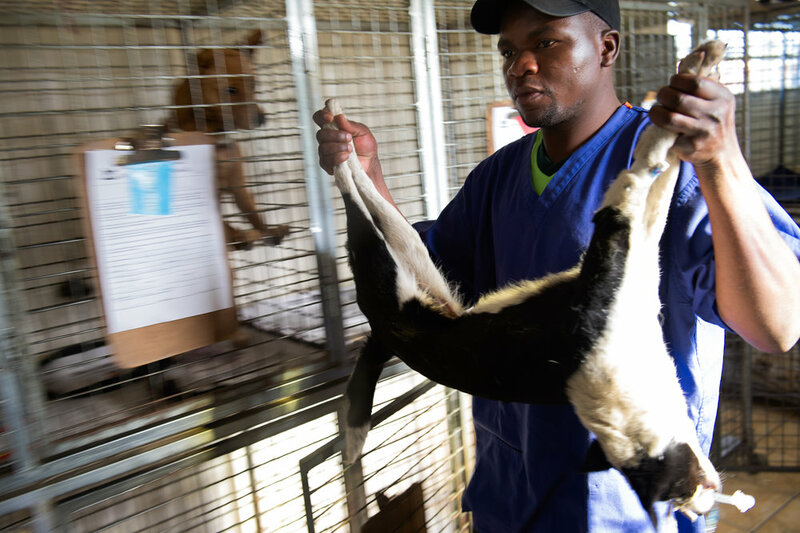 This is the routine at the Mzananda Animal Clinic, the only permanent animal hospital serving the residents and the pets of this enormous township. The clinic offers a wide range of services: including routine exams, emergency care and surgery—all at discounted prices for those who can’t pay. 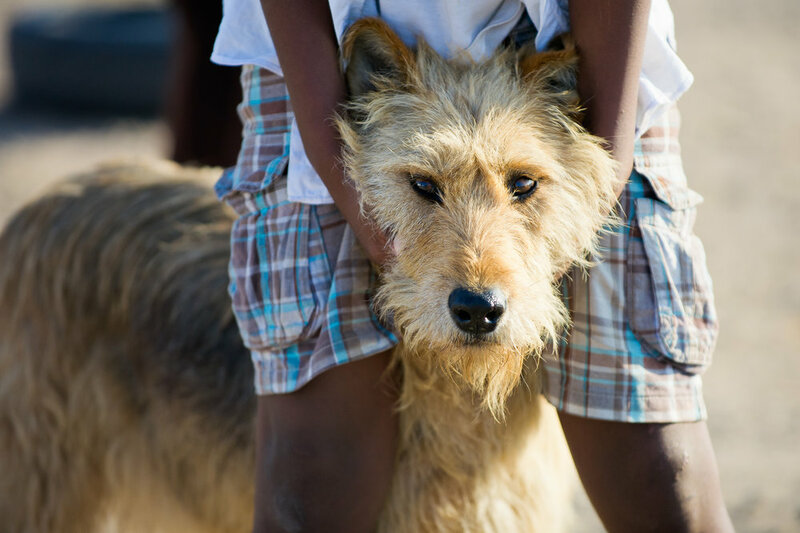 Preventative care like vaccinations and spaying and neutering are always provided free of charge. 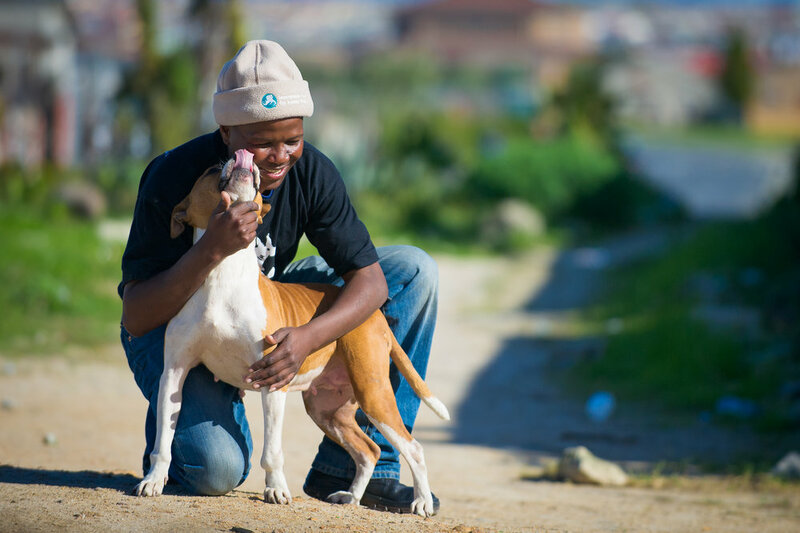 Lazola has turned into a one-man charm offensive: chatting up residents, educating them on being conscientious pet owners, and generally being an ambassador for the clinic and for animal issues throughout the township. 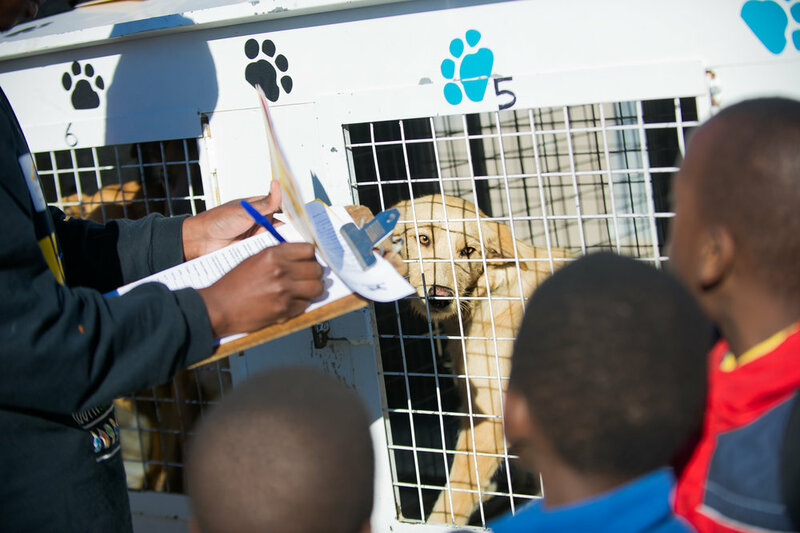 As an animal care worker at Mdzananda, one of his main responsibilities is to hit the streets with the mobile unit and bring care to the animals directly where they live.